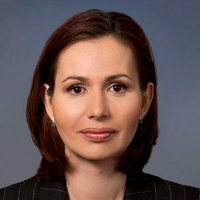 Dr. Anna-Marie Vilamovska is the Secretary for Healthcare Policy Innovation and Policy to the President of the Republic of Bulgaria, H.E. Rosen Plevneliev. In the fall of 2015, Anna-Marie was selected as one of the 2015 New Europe 100 outstanding individuals who are leading world-class innovation from Central and Eastern Europe by The Financial Times, The Visegrad Fund, Google and ResPublica. Anna-Marie co-chairs the Presidential Councils for Science and Education and for Social and Economic Development and represents Bulgaria at the EC Member States Board on Digital Entrepreneurship. She also manages the Presidents’ “John Atanasoff” Outstanding Young IT Scientists and Entrepreneurs Awards”, international in reach, and the “Bulgarian Christmas” Charity Initiative, the largest national philanthropic campaign. Anna-Marie is an Ambassador of Sofia Tech Park – the first science and technology park of its kind in the region – and a leader in the EC eSkills and Watify Digital Entrepreneurship Campaigns since 2014. A RAND Ph.D. alumna, from 2003 to 2005 Anna-Marie designed pension system in Central and South Asia, the Middle East, and Central Europe for IBRD and IDA in Washington, D.C. From 2005 to 2010, she co-led applied research projects at the RAND Corporation in Los Angeles and Brussels in the fields of health information technology, health and education economics.